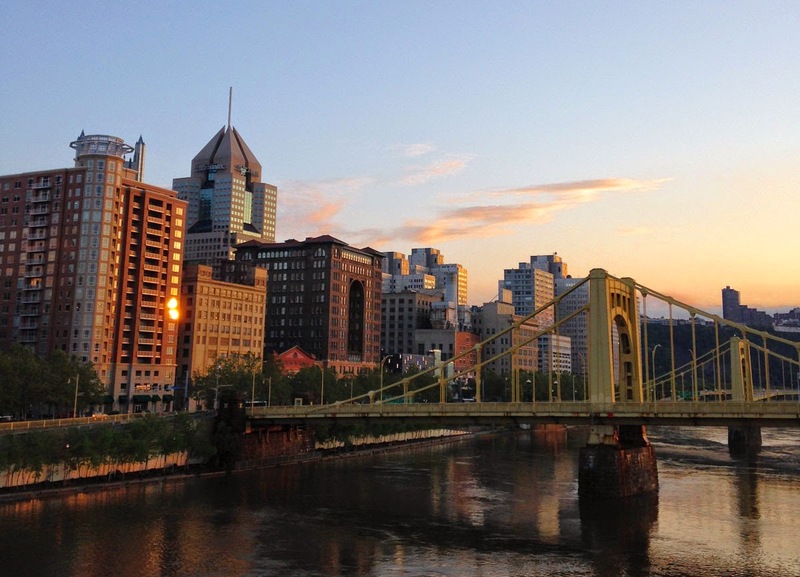 Amber and I just returned from 4 whirlwind days in Pittsburgh to attend the 2014 Quilt Market! 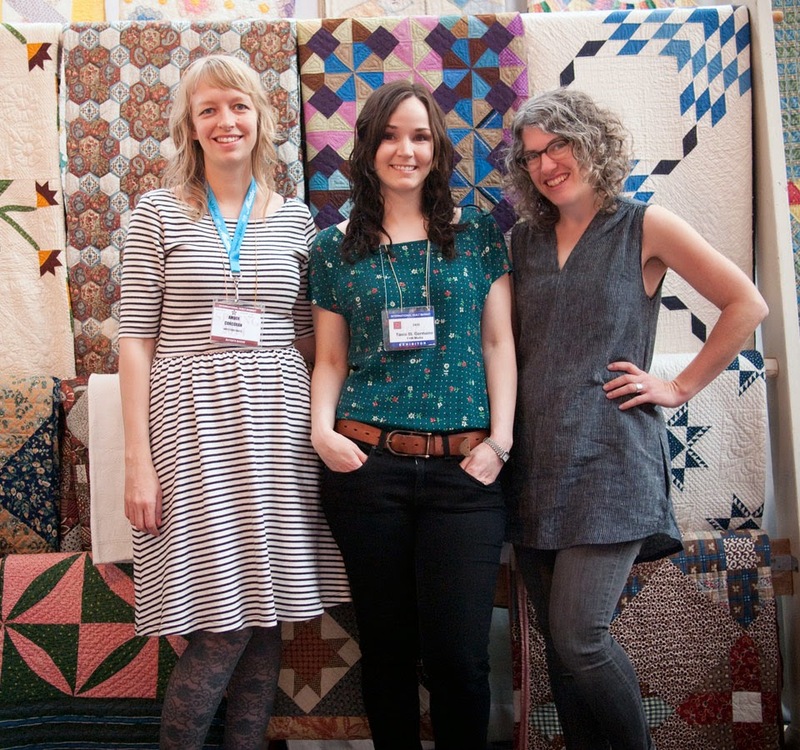 This is a trade show where we get to see and order all the upcoming fabric lines, meet the designers and authors, get inspired by new quilts, and brainstorm ideas with other shop owners. 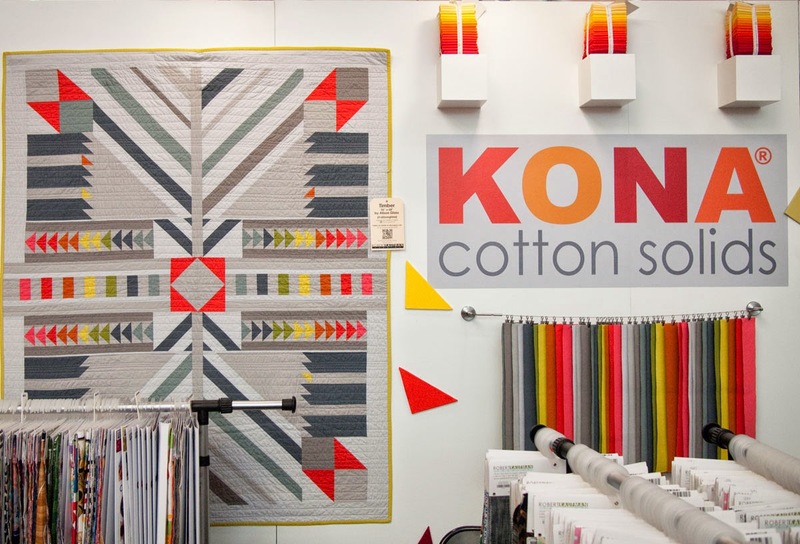 We are always so inspired to sew after we go to Quilt Market! Here are our top picks for new and exciting fabrics coming up. April Rhodes in her awesome booth! 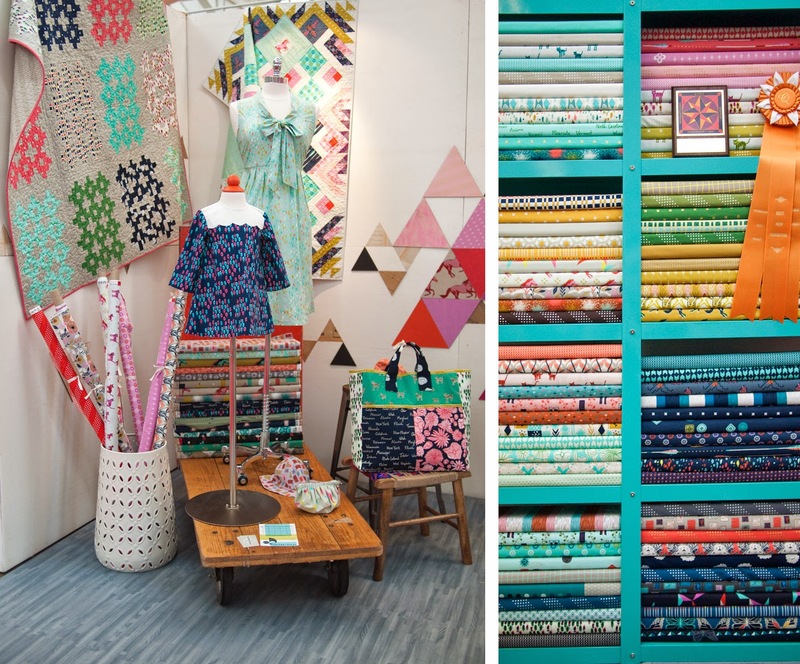 Art Gallery Fabrics has a new Limited Edition division they have launched. 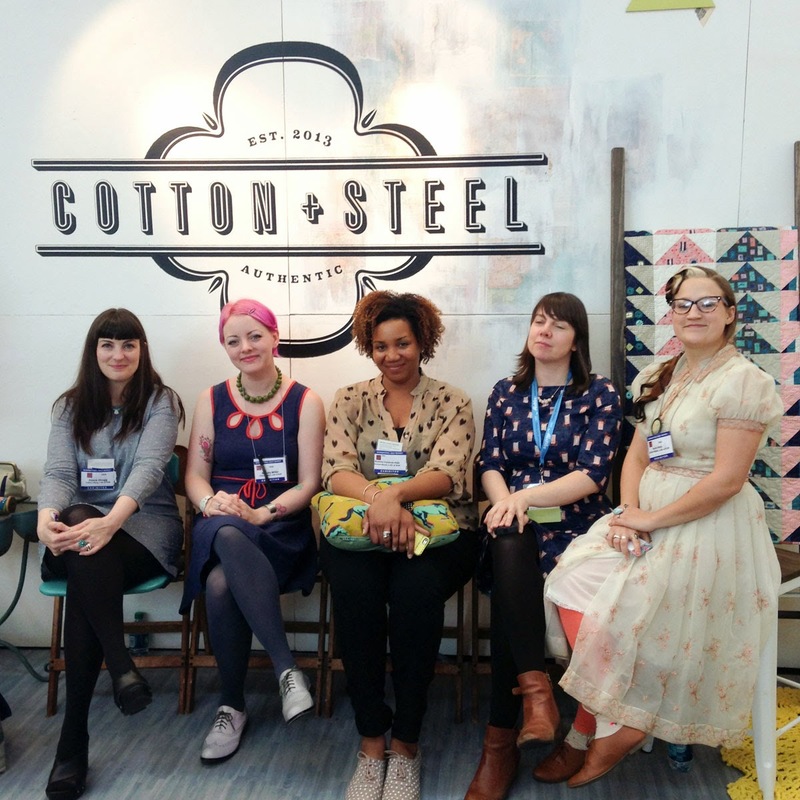 April Rhodes, Sew Caroline, Sara Lawson are the three new designers for these collections, which we love! All of these limited releases include voile and knits in addition to quilting cottons. 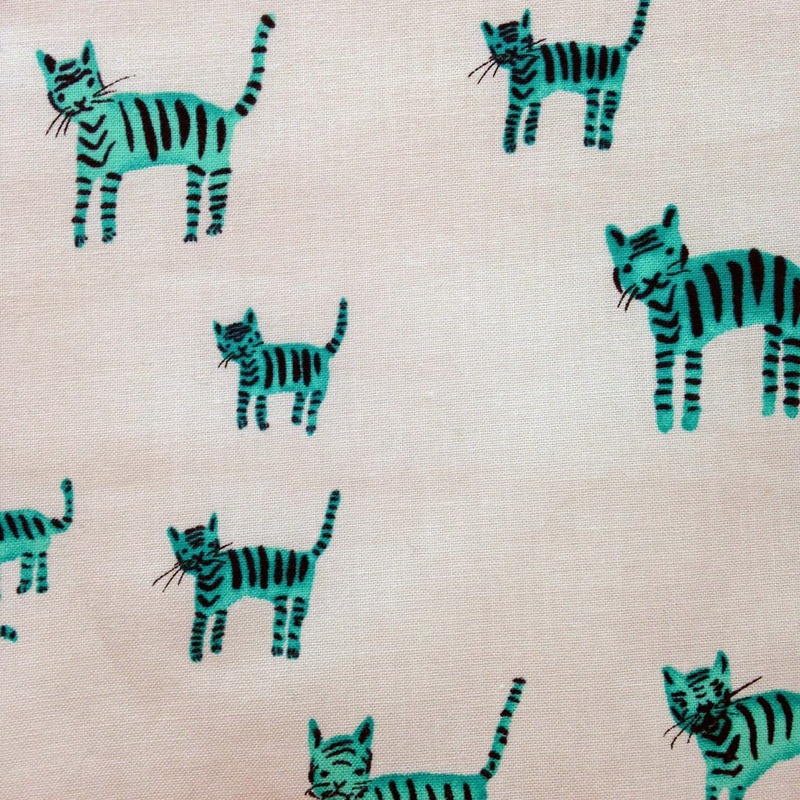 April Rhodes' Arizona fabrics will be here later this month. Her booth at quilt market was stunning, displaying her very cool collection. 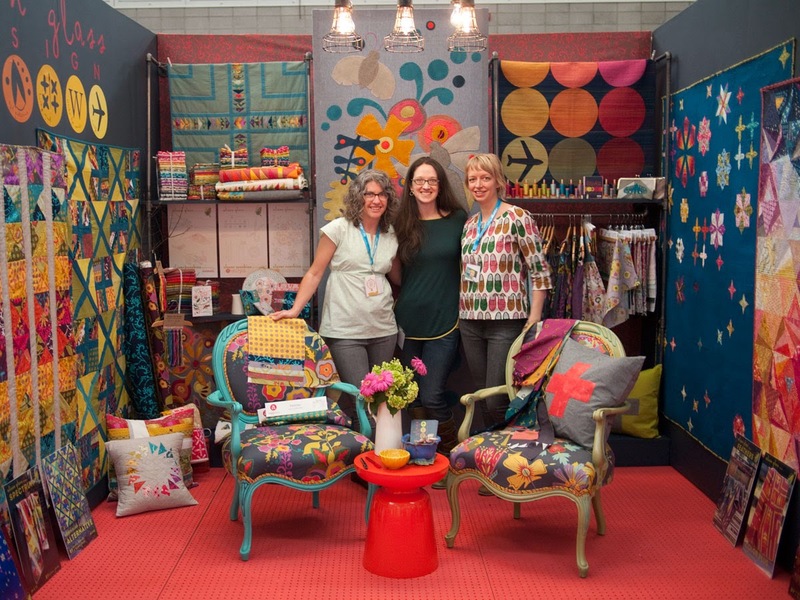 Next at Art Gallery, we met the charming Caroline Hulse of Sew Caroline. 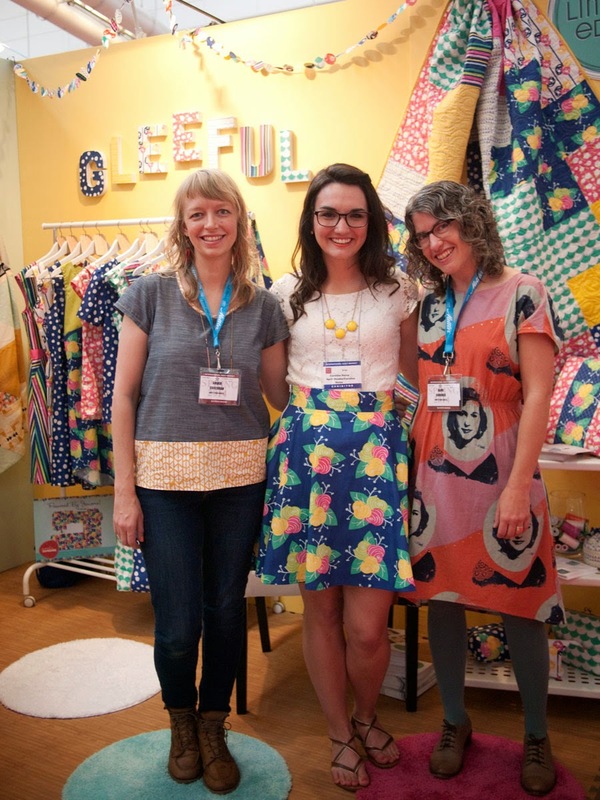 Her bright, poppy collection Gleeful will be available in July, for cheery summertime sewing. 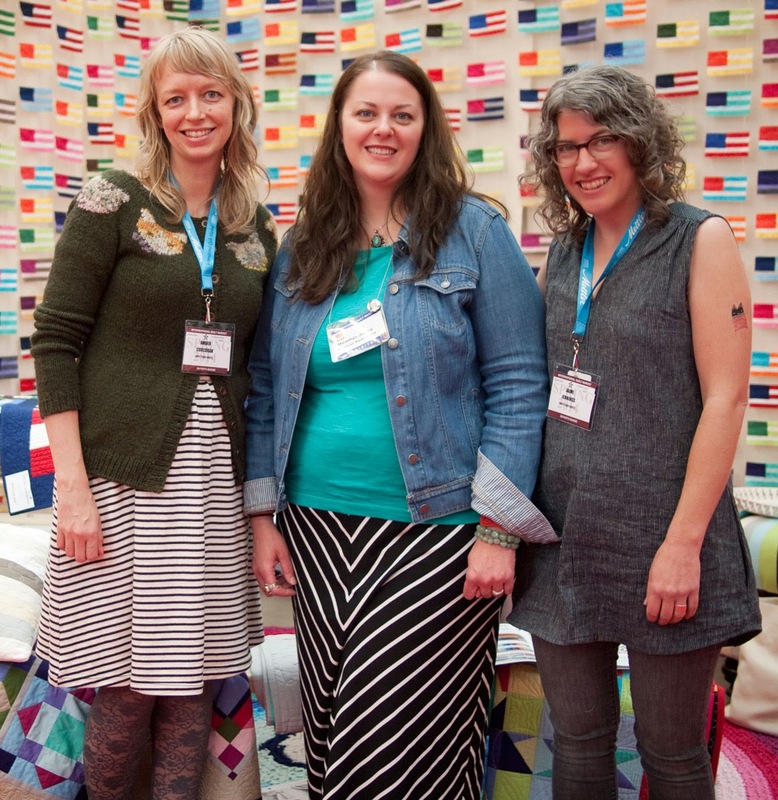 Sew Caroline in her sweet booth! 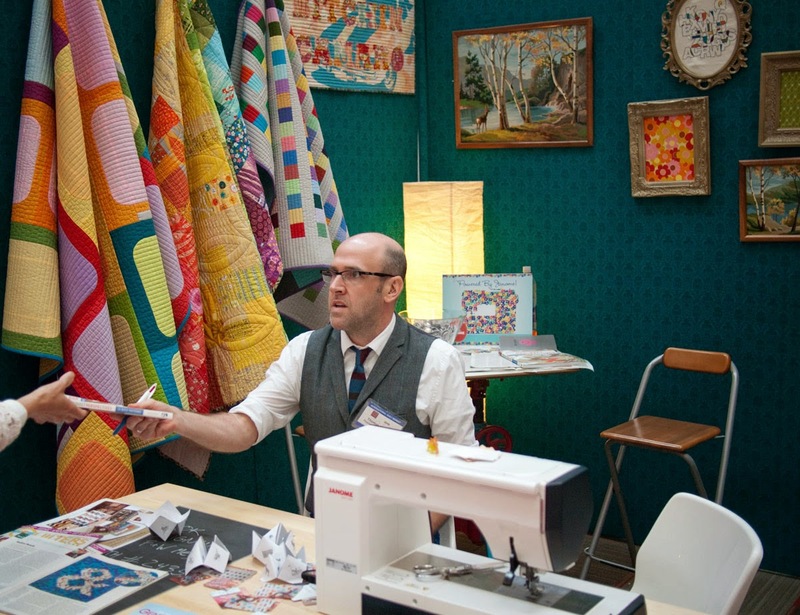 Thomas Knauer was at market to promote his new book, Modern Quilt Perspective. The "12 patterns for meaningful quilts" each have a really interesting story and concept behind their design. We were able to see the quilts from the book in person and chat with Thomas about the story behind each one. We are thrilled to host him in Denver this November for a book signing event so stay tuned to find out the details. Mr. Knauer signing books in his awesome booth! Speaking of new books...Tasia of Sewholic was there from Vancouver! Tasia was promoting her new book, Sewtionary. It was so great to meet her--look how cute her top is out of her newest pattern, the Belcarra Blouse! Sewtionary is an awesome resource book that every sewist will want to have in their library. We can't wait for it to get here in early July. Tasia of Sewholic - isn't she cute?! 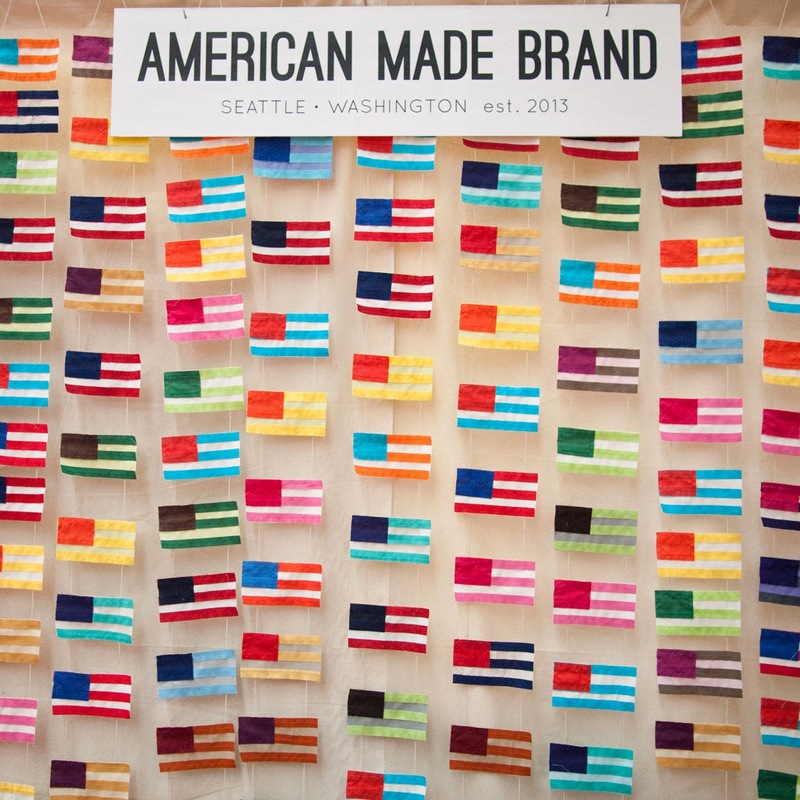 We recently featured the new American Made Brand fabrics on our Instagram (@fancytigercrafts), but we have to show you again because they are so exciting. These are new cotton solids from Clothworks that are entirely grown, spun, woven and dyed in the USA. 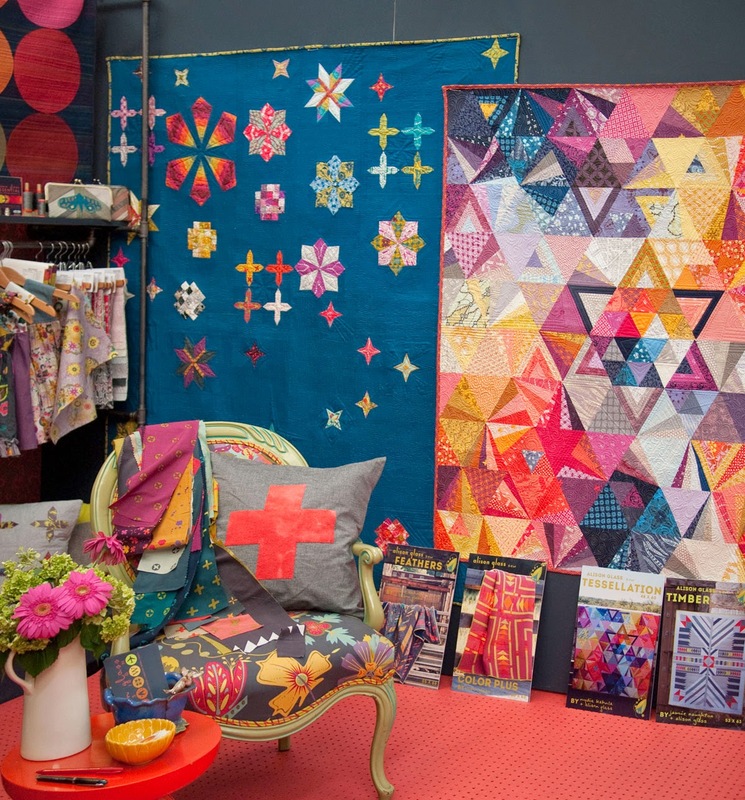 Modern quilter, Heather Jones is the spokesperson for this new fabric and has made some beautiful quilts out of it already. The icing on top for this sustainable fabric is a very affordable price point. These should be here this June. Violet Craft has a new collection for Michael Miller, Brambleberry Ridge. Oh man, did we love this. The mix of sweet florals, geometrics, and woodland creatures were all highlighted with metallic ink - so precious! Her upcoming quilt pattern features paper pieced animals and birds - I am going to make a hawk pillow stat. Brambleberry Ridge will be here this July. 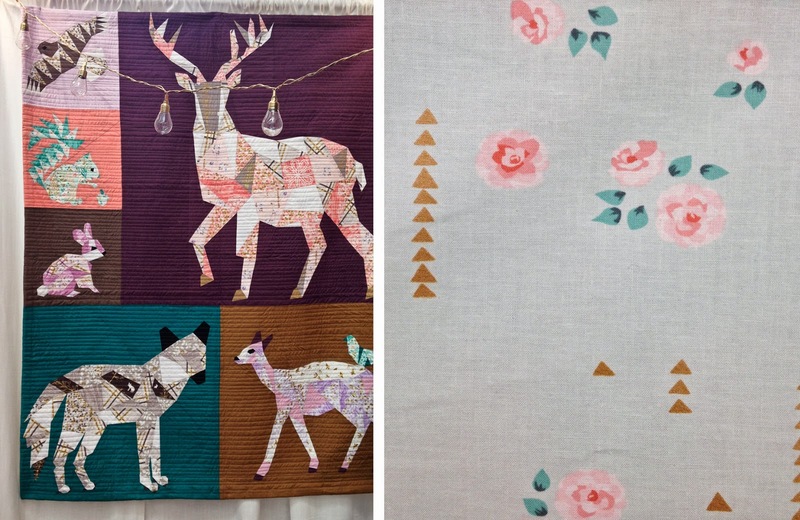 A new Violet Craft quilt pattern on the left and a detail of a print from Brambleberry Ridge on the right. 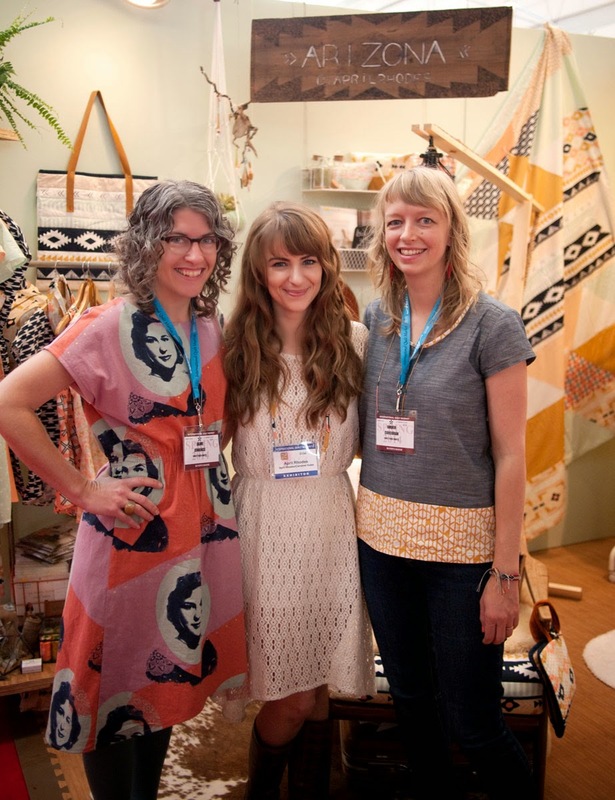 Alison Glass was debuting her newest collection for Andover, Handcrafted. This collection was really different from anything we saw at market. Alison designed these prints using the traditional wax-resist method of making batik fabric, but they have a look that is all Alison Glass. All these fabrics will be hand-printed and therefore completely unique with no yardage exactly the same. This printing method also means the fabrics have a lovely hand that will lend itself well to both garment and quilt-making. Alison's booth was inspiring with her lovely quilts and embroidery. 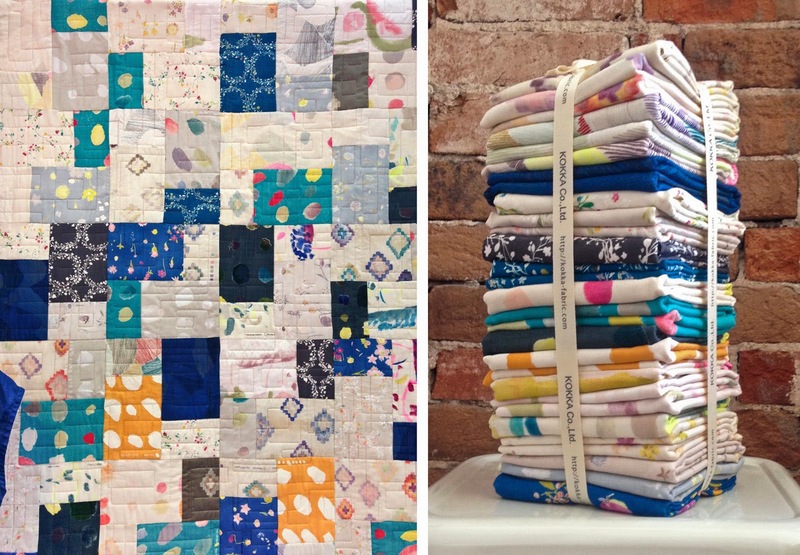 We loved this new quilt design by Alison Glass, Timber. Ok, the moment you've all been waiting for...Cotton and Steel! Yes, we saw it! Yes, it was amazing! Yes, we ordered it all! Yes, we love them! It is just as awesome as all the hype would suggest. This new division of RJR headed by none other than Melody Miller is so great and you are all going to be sewing with it this summer. Start planning, people. 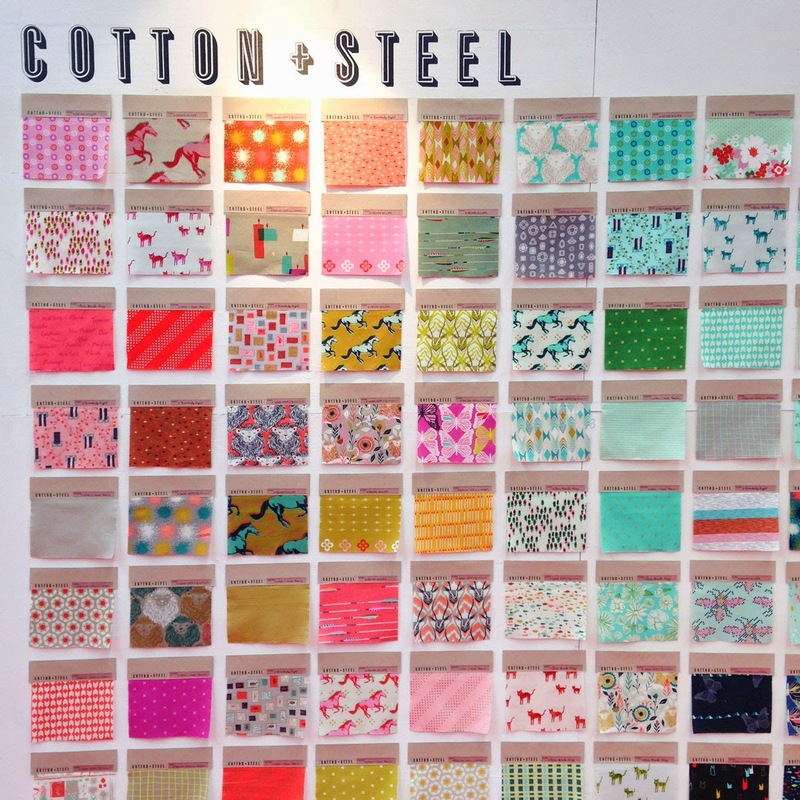 There are 123 bolts of delicious fabrics coming our way this July in quilting cottons, voiles, and linen/cotton canvas. Are you ready? We will be implementing a new uniform policy where staff at FTC can only wear this print from Alexia Abegg. Just kidding, but seriously you guys! !